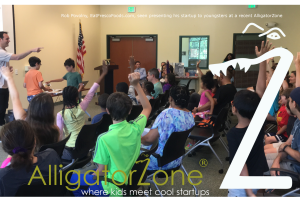 AlligatorZone® is where kids meet cool startups, presented by the founders themselves. AlligatorZone regularly conducts free event-programs as a joyful community gathering in select public libraries, featuring innovative startup founders meeting with an audience of youngsters aged 7 – 17 and their accompanying families, making for an uplifting startup event for the entire family. Close to 150 startup companies have been showcased to enthusiastic young audiences and their families in 19 locations spanning both coasts. Scroll down to learn more, or get started by signing up for one or more of our many opportunities. At AlligatorZone® youngsters learn problem-solving through direct interaction with startups and their products, in a shared experience with their parents and guardians. They also learn about various real-world applications of STEM and STEAM principles to solve real-world problems by real entrepreneurs from their area. AlligatorZone® is not kid-stuff. Startups curated to present at AlligatorZone® are chosen from across disciplines. AlligatorZone’s free event-series in public libraries make for not just an uplifting outing for a family, but also a joyous gathering of the entire community at a local public library joining to celebrate and participate in local innovation in a unique and exciting manner. 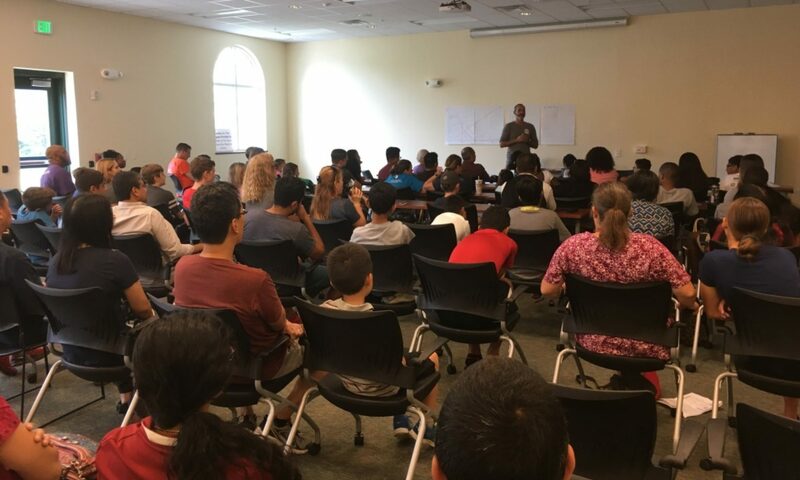 Our mission is to bring AlligatorZone® as a free event-program to youngsters in every community with a public library or a community center that welcomes such programs to inspire youngsters about careers that very likely don’t yet exist. Contact us to bring AlligatorZone® to your locality. To make the free event-program of AlligatorZone® self-sustaining, AlligatorZone® Academy has been created, offering premium summer workshops and after-school enrichment programs for young students.